The ebullient man of honour, Segun Showunmi popularly known as Sagua had reasons to celebrate few days back. 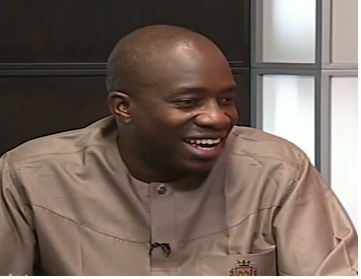 The former acting spokesperson of Ogun PDP who gave the ruling APC plenty of sleepless nights via his intelligent analysis of political events in Ogun state turned a year older. Segun Showunmi’s friends in their wisdom organised a surprise birthday dinner in his honour. His high-brow Hilltop residence was practically shut down as family, friends and political associates turned up in style to honour a man described by many as a jolly good fellow. The classy but modest birthday dinner had in attendance high flying guests who came from all walks of life. As expected, there were more than enough to munch and exotic wines flowed like water. Segun Showunmi Segun Showunmi has built a strong brand for himself as one of the finest image makers in Ogun state who is blessed with the oratory skills and he is highly rated as a walking encyclopedia of Ogun political history and terrain. He has scored many first in his political adventures and narrowly missed out on PDP’s National Publicity Secretary position due to zoning. Segun Showunmi rolled in rich circles and he is a close ally of some of Nigeria’s men of power. In spite of his modest achievements, he remains humble.